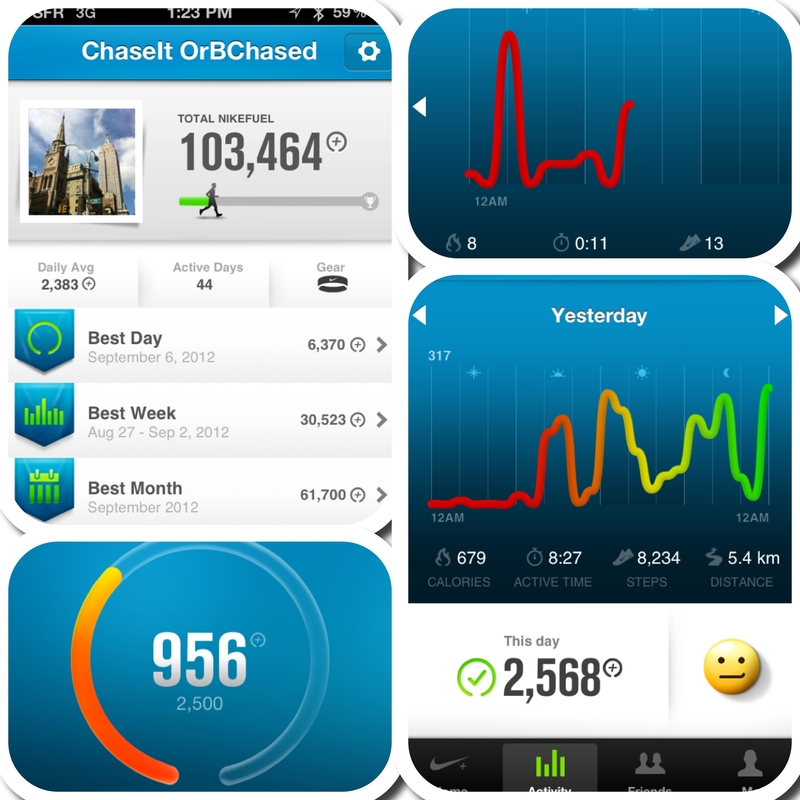 It’s about my month now that I wear my Fuelband. It’s time to crunch some figures together. Let’s start on good basis, I wear it when I sleep, I don’t when I shower (I charge it instead), I walk the stairs and don’t take the lift. I change my daily goal depending on my activities. When I’m abroad and not working at a desk, my goal goes from 3.000 to 4.000Fuel. When I’m back at the office, my goal goes down to 2.500Fuel. Walking up the stairs at the office (190 steps that I walk 2 by 2), from 30 to 40Fuel. Walking down the stairs, from 20 to 30Fuel. Walking from the metro station to the office (500m=0,31mi), 75 to 100Fuel. 10 minutes ABS with Jessica (with the FitnessClass app for iPad), about 30Fuel. So now, stop reading and start moving your body to reach your daily goal 😉 I’m on a 13-days streak, don’t wanna break it. ← Don’t wear a scarf, wear a smart trendy scarf!